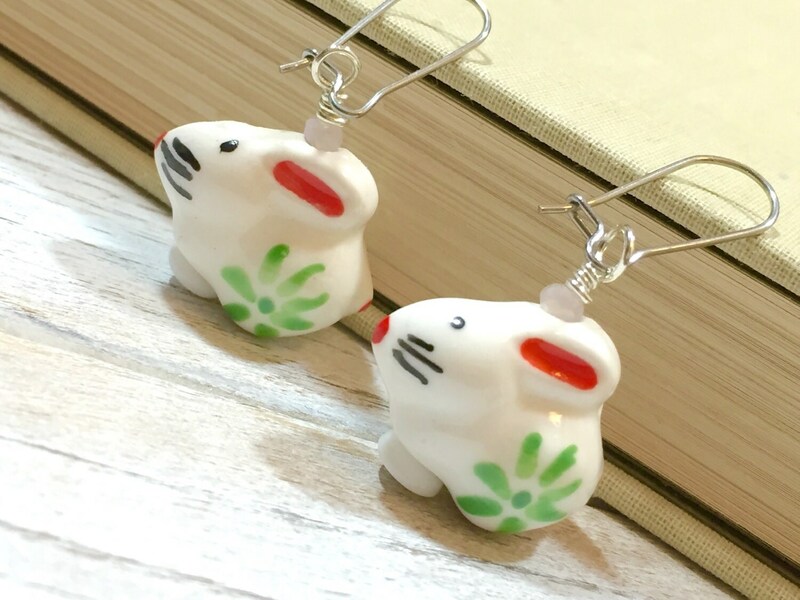 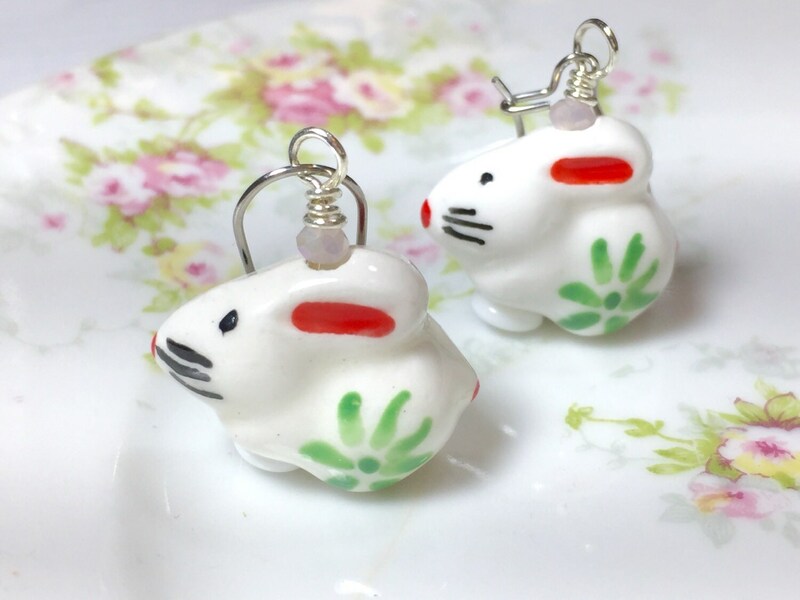 These cuties dangle about 1.75 inches (4.5 cm) from the top of the ear wire to the bottom of the bunny. 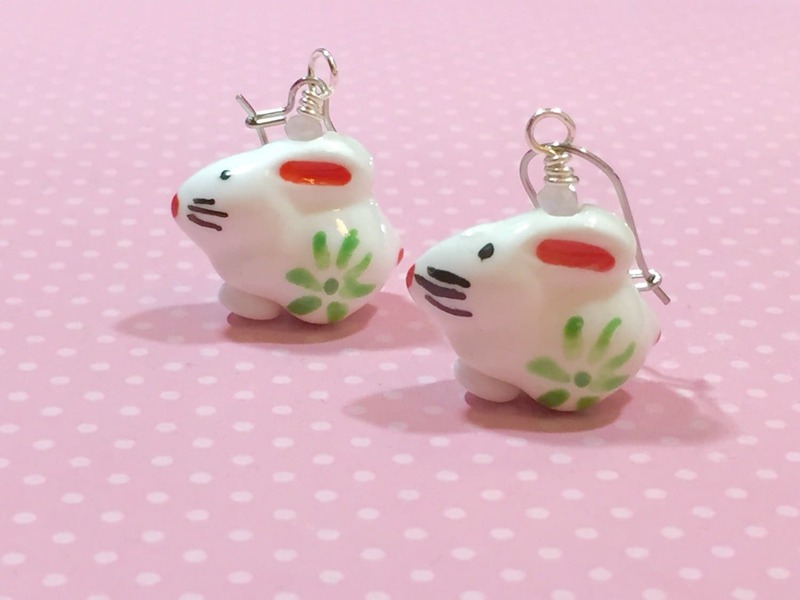 The rabbit it's self is about 1 inches (2.5 cm) wide. 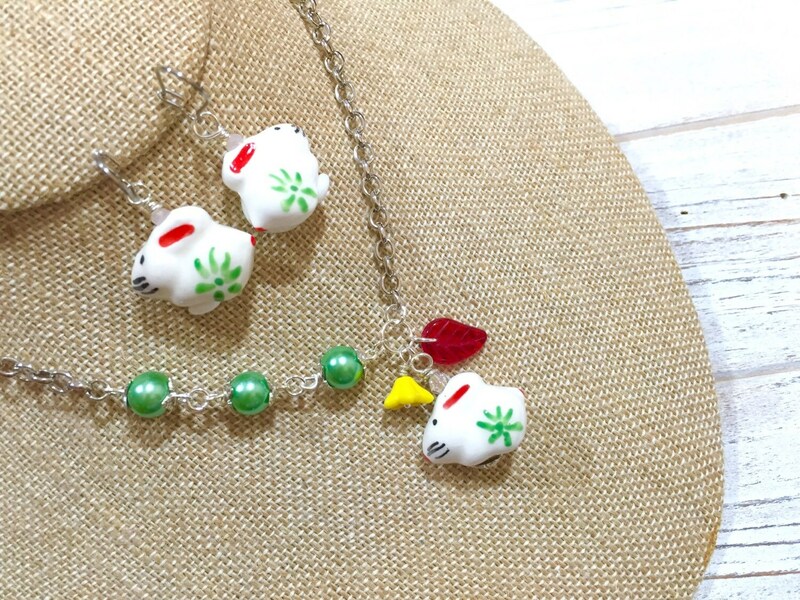 As shown in the last picture, I made a coordinating necklace that is available separately. 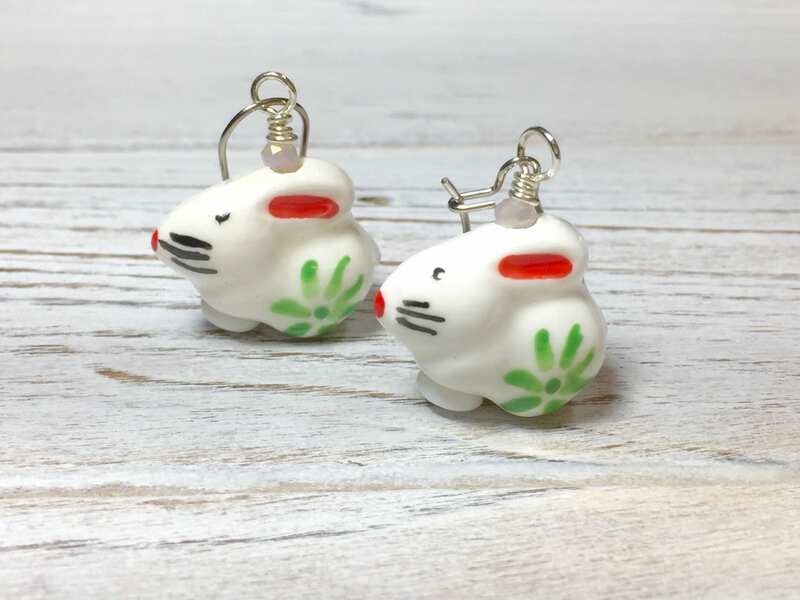 Please see the Holiday / Seasonal section of my shop to find it.